Natalie Imbruglia doesn’t exactly lend herself to hipster cred. She was a model/actress in Australia before breaking in a big way with break-up anthem “Torn,” so there’s no woe-is-me-I-was-homeless-in-Alaska authenticity. Or bad teeth. That said, I was a man of discriminating tastes even at the age of 13, and history seems to have beared me out. 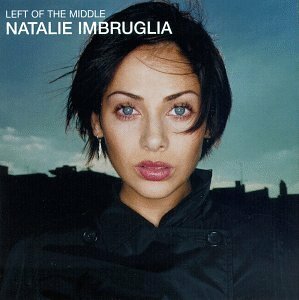 Imbruglia’s debut Left of the Middle predates Kylie Minogue and even Madonna’s dabblings in electronica, and the rock songs are as urban and affecting (some lyrical flubs aside – she’s an actress, cut her some slack) as anything on P.J. Harvey’s Stories from the City, Stories from the Sea – and straight-up destroy Avril’s faux-punk. Overall, I’d say it’s an overlooked classic – and thus, the perfect candidate for The Canon, Examined.